I thought about recapping 2013 and all of its awesomeness for today’s post, but then decided to just jump right into 2014 with a monthly challenge and a holiday challenge for you. But before you do, take some pictures and get entered in Vanessa’s Clean Up Challenge! 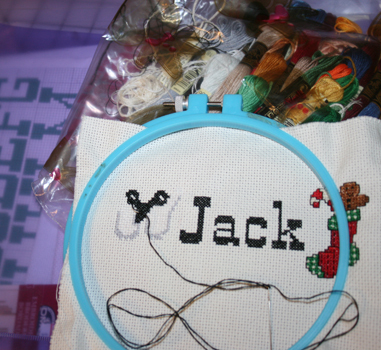 Think your sewing space is already clean? Is it really, really clean? Are all your UFOs complete? (Those are UnFinished Objects, not saucers in the sky!) How about your machines? Are they cleaned up and ready to work this year? Do you need to get them scheduled for a spa day after all the holiday madness? 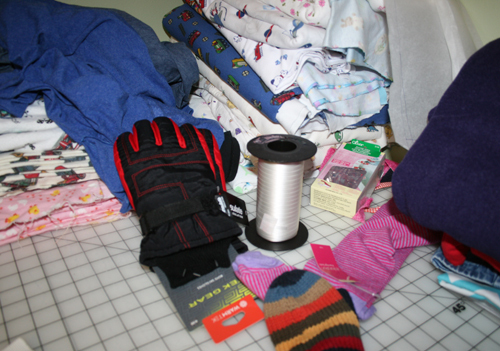 No stray mittens, gloves or curling ribbon in your sewing area? We’re going to talk about organizing this month, because it’s a new year and it’s time to start fresh. Plus, the retailers all understand our urge to clean up and helpfully put all kinds of storage and organizational tools on sale in January, so we want to take advantage of it! What’s your favorite sewing storage or organizational tool? Finish those things you meant to do for the holidays or the projects you would have done if only you had the time. 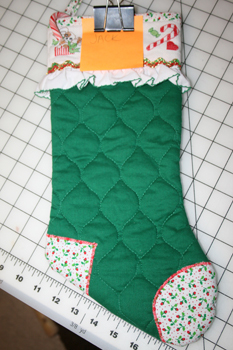 Because next year you don’t want to have to put a post-it note over the name on the stocking your mom made you (decades ago!) so your kid can use it. Did you already do ALL the things? And you’ve got it all packed up for next year? Wowzers. You are amazing. Great work, now just grab your snowflake mugrug and set your cocoa (or coffee?) mug on it while you rest. You don’t have a snowflake mugrug??? How can that be? Okay, next week we will remedy that.